By itself, the state of the economy is enough to guarantee a close election, and every national survey during the past two weeks has put Obama and Romney in a statistical tie. Now another key factor points in the same direction—the shifting balance between the political parties. This matters because party preferences and voting patterns are more closely linked today than they have been in several generations—and two recent in-depth surveys of the party system document that a clean Democratic victory, of the sort the party enjoyed in 2008, is exceedingly unlikely. The surging Democratic tide of four years ago has ebbed, exposing a partisan shoreline that more closely resembles what prevailed in 2004. Let’s begin with the Gallup poll released on August 29. At this time four years ago, 54 percent of registered voters had a favorable view of the Democratic Party, versus 39 percent with an unfavorable view. Republicans trailed badly, with 41 percent favorable and 51 percent unfavorable. These demographic trends map onto geographical shifts. Republicans have gained no ground in urban areas, but they’re doing much better in the suburbs and in rural communities than they did four years ago. They have made larger gains in the South, Midwest, and West than in the Northeast, which remains a Democratic Party bastion. The Pew survey portrays 2012 party system that is not only more evenly balanced than in 2008 but also more deeply divided. 71 percent of conservatives (81 percent of white conservatives) now identify with or lean toward the Republican Party, while 84 percent of liberals identify with or lean toward Democrats. The gap in attitudes toward fiscal policy and the role of government in the economy is astounding. 82 percent of Republicans, but only 29 percent of Democrats, favor a smaller government providing fewer services. 66 percent of Republicans, but only 33 percent of Democrats, choose reducing the deficit over spending to boost the economy. (Only 10 percent of Republicans support the 2009 stimulus package, compared to 68 percent of Democrats.) Support for the president’s health reform law tops 80 percent among Democrats but doesn’t reach double digits among Republicans. A careful reader might object, reasonably, that a 5-point edge in preferences among registered voters, tough down from 2008, is still good news for Democrats. But matters are more complicated than that. In 2004, according to Pew, the Democrats enjoyed a 3-point edge but ending up losing the popular vote by more than 2 points. Over the past four elections, in fact, the eventual popular vote margin has been, on average, 5 points more favorable to Republican candidates than the balance among registered voters would have suggested. If that pattern is repeated in 2012, the 5-point pro-Democratic edge in voter preference turns into a popular vote tie—which is what every national survey is now showing. 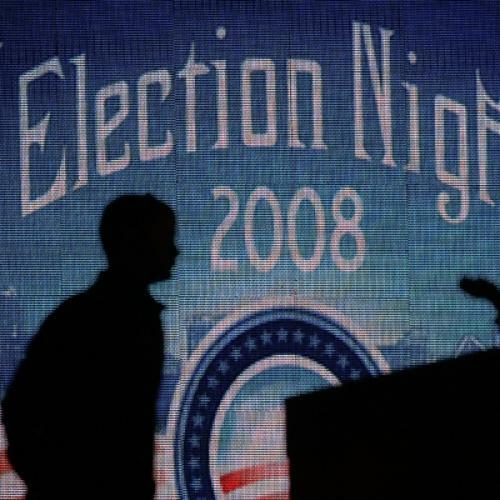 The bottom line: if the 2012 election is more about mobilizing the persuaded than persuading the perplexed, then the current standing of the two parties suggests that the election will be very divisive—and very close.